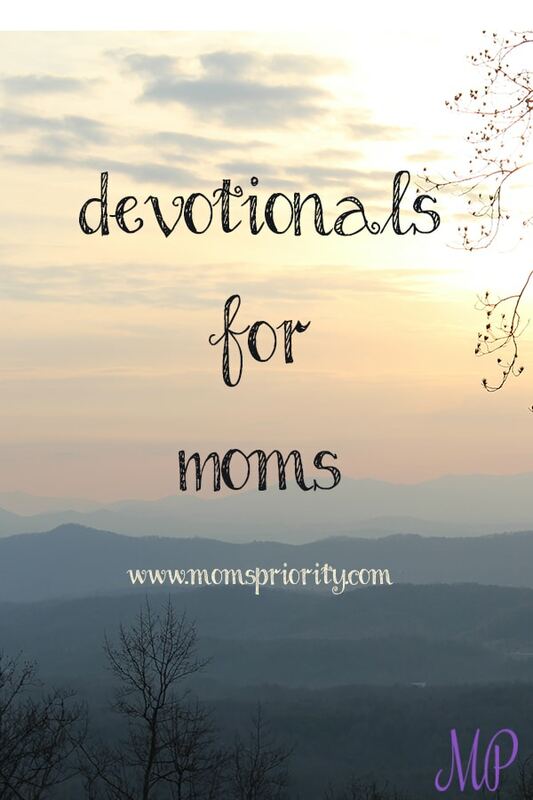 Encouraging devotionals for moms are linked below. Mom’s Priority exists to encourage women, particularly moms, as we go through the hard but rewarding stages of becoming a mom, being a new mom, and learning along the way how to parent our children and love our families. It is by the grace of God that we survive and hopefully thrive through these short but valuable years, and personal time with God is the key. Our intent is to provide moms with valuable devotions and resources that enrich moms, and their families. We pray that you will use these devotionals to increase your faith, deepen your devotion to God, and enrich the love and bond you share with your family. These are just a few. If you are looking for a particular theme Bible study, don’t hesitate to send me an email. I know of many-over 50 more that are great studies for women.